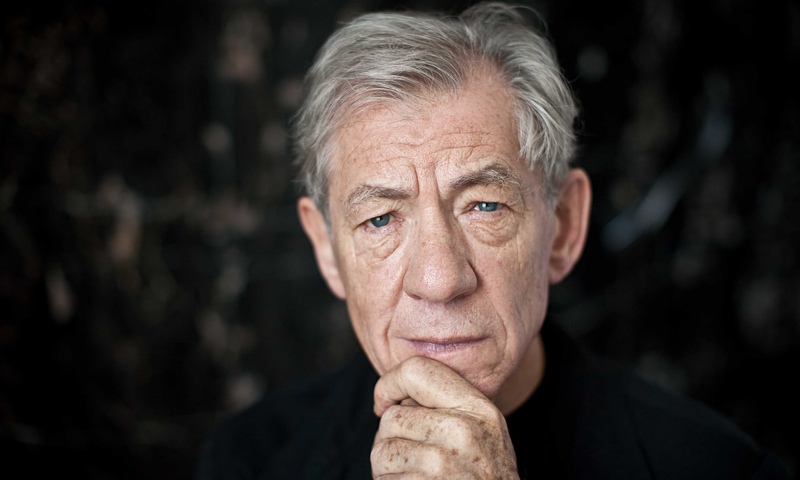 SAN RAFAEL, Calif. (September 24, 2015) –The Mill Valley Film Festival announces today, Sir Ian McKellen will be honored with a Lifetime Achievement Tribute, Sunday, October 11, 7:30pm in San Rafael. The evening will feature an on-stage conversation, special showing of clips from his tremendous body of work and presentation of the MVFF Award. Ian McKellen has made more than 50 films since his feature debut in 1969. In 1996, he co-produced, co-scripted and starred in his screen adaptation of Shakespeare’s Richard III. After Bryan Singer’s Apt Pupil in 1998, he received his first Oscar nomination as film director James Whale in Gods and Monsters, directed by Bill Condon. A young generation of moviegoers discovered him as the mutant Magneto in the X-Men films and as the wizard Gandalf, his Oscar-nominated performance in The Lord of the Rings trilogy. 2015’s Mr. Holmes (Miramax/Roadside Attractions), in which he plays the world’s favorite sleuth Sherlock Holmes in his twilight years, earned McKellen unanimous critical raves (“a gratifyingly but unsurprisingly wonderful performance,” A.O. Scott, NY Times) and is one of the most successful independent films of the year. McKellen has been honored with more than 50 international awards for his performances on screen and stage. Born in 1939 and raised in the industrial north of England of Northern Irish stock, he started acting professionally in 1961. After attending Cambridge University and completing a three-year apprenticeship with regional theatre companies in the UK, he was soon recognized in London as a prominent actor of his generation in Shakespeare and other classical plays. His youthful performances as Shakespeare’s Richard II and Marlowe’s Edward II stormed the 1969 Edinburgh Festival, played two seasons in London, toured Europe and were televised. In pursuit of the ideal theatre ensemble, he was a founder-member of the touring Actors’ Company. As leading man for the Royal Shakespeare Company, he has played Macbeth with Judi Dench and Iago with Willard White, and starred in a score of modern plays in London, many for the National Theatre under its first director Laurence Olivier and his successors. McKellen has been an eloquent advocate for gay rights since he came out in 1988 and co- founded Stonewall, the UK charity which lobbies for legal and social equality for gay people. The following year, he was knighted for his contribution to the performing arts. In 2007, The Queen appointed him Companion of Honour “for services to Drama and Equality”. McKellen’s upcoming projects continue to showcase his versatility — the wildly popular UK sitcom “Vicious,” co-starring Derek Jacobi, airs in the U.S. on PBS; “The Dresser,” based on the play and co-starring Anthony Hopkins airs on BBC Television this fall; and his third pairing with director Bill Condon finds him playing Cogsworth the Clock in the Disney live action re-telling of Beauty and the Beast. An onstage conversation with Sir Ian McKellen featuring assorted clips from his body of work, culminating in the presentation of the MVFF Award. Program is anticipated to run 90 minutes, followed by a reception at Il Fornaio. Since 2008, the Mill Valley Film Festival has presented the MVFF Award, an elegant bronze statue created by Mill Valley artist Alice Corning, given in recognition of exceptional work in film at our Tribute and Spotlight programs. Presented by the California Film Institute, the 38th Mill Valley Film Festival runsOctober 8-18, 2015 at the CinéArts Sequoia (25 Throckmorton Ave., Mill Valley), Christopher B. Smith Rafael Film Center (1118 Fourth Street, San Rafael), and other venues throughout the Bay Area. With a reputation for launching new films and creating awards season buzz, MVFF has earned a reputation as a “filmmakers’ festival” by celebrating the best in American independent and world cinema, alongside high profile and prestigious award contenders. MVFF welcomes more than 200 filmmakers representing more than 50 countries. The non-profit California Film Institute celebrates and promotes film as art and education through the presentation of the Mill Valley Film Festival and year-round exhibitions at the Christopher B. Smith Rafael Film Center, film distribution by CFI Releasing, and building the next generation of filmmakers and audiences through the CFI Education program. For more information visit www.cafilm.org or call (415) 383-5256.